Beautiful designs that you can fully customise. 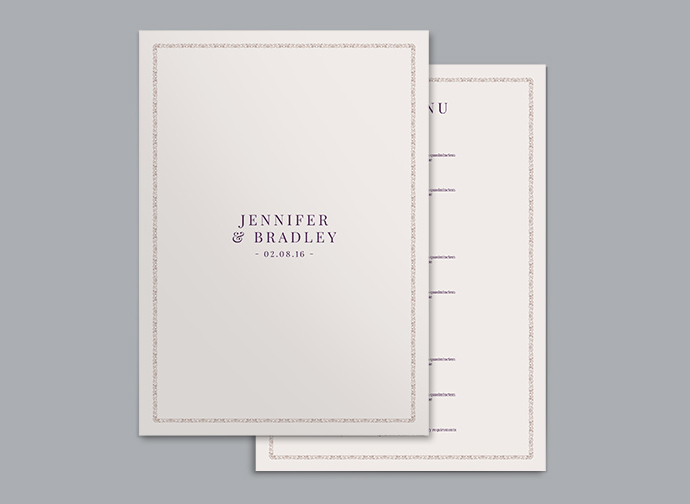 Wedding themes flow seamlessly through each gorgeous wedding set. 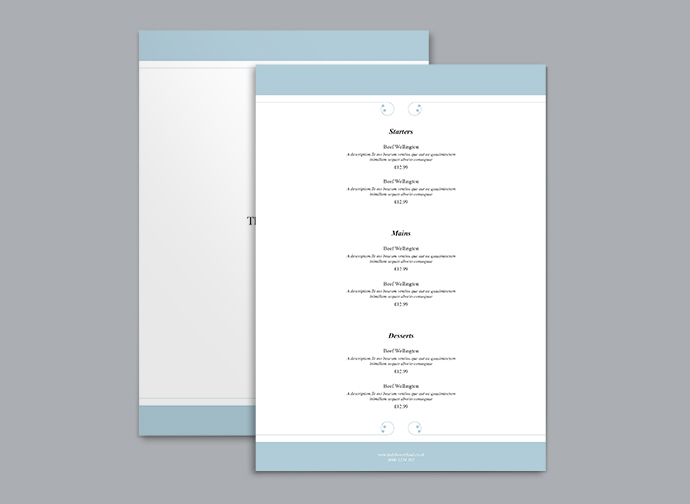 Wedding menus, wedding table talkers, personalised coasters and posters. 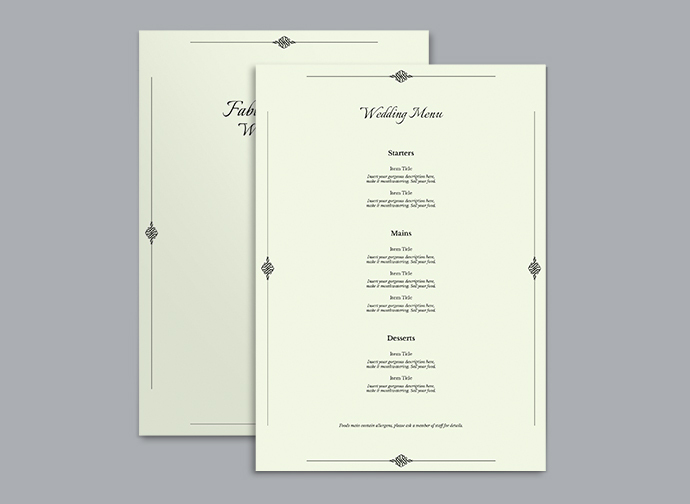 Beautiful centre-piece print for any wedding table. Let your guests see the day's events, special wines, or personalised celebration message. 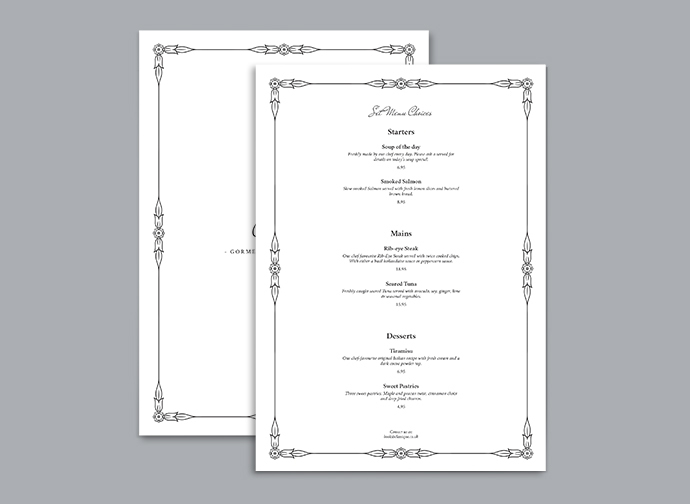 Print Waiter offer full wedding design ranges, but you don't need to order the whole set, just order want you need, it's that easy. 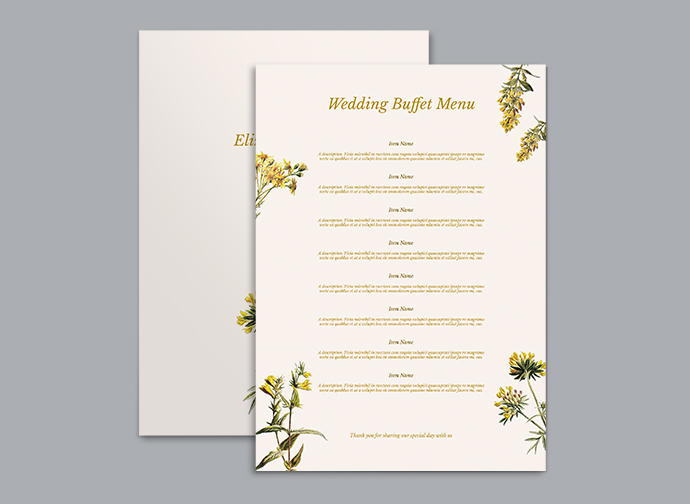 Whether you are the bride and groom or the venue, for a perfect wedding you need beautifully designed wedding print, by award-winning designers and delivered exactly when you need it. 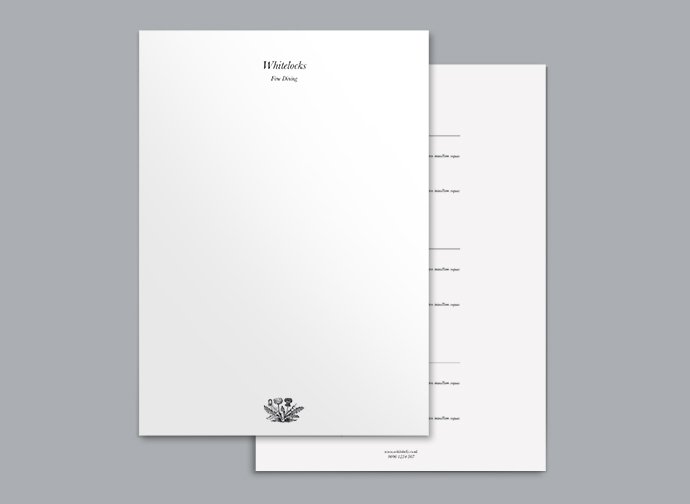 OK, perhaps it won't completely 'make' the day, but having quality paper for your personalised wedding print lets everyone know how special this occasion is. It is the icing on the wedding cake. 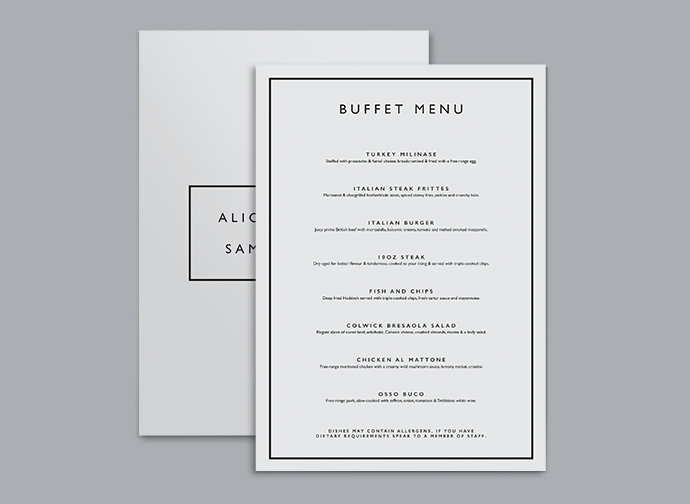 Once you've fully personalised your wedding menus, wedding posters, table cards and coasters you can choose your delivery option - From free delivery, Special 3 day delivery and even 24 hour delivery. 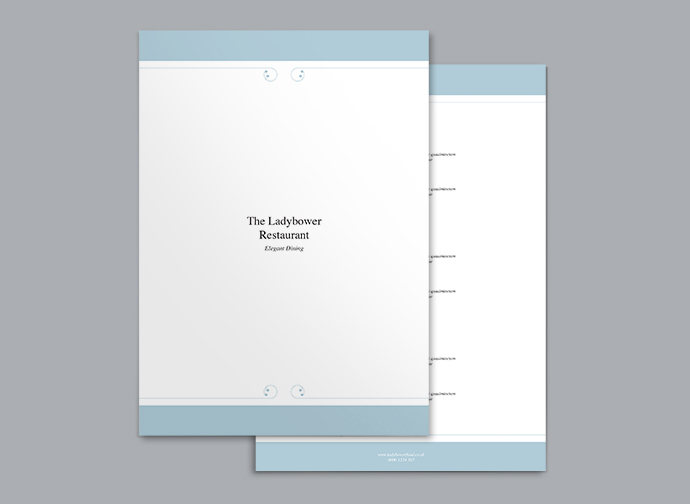 The LadyBower Restaurant - A dignified menu design that speaks volumes for your restaurant, cafe, bar or hotel. 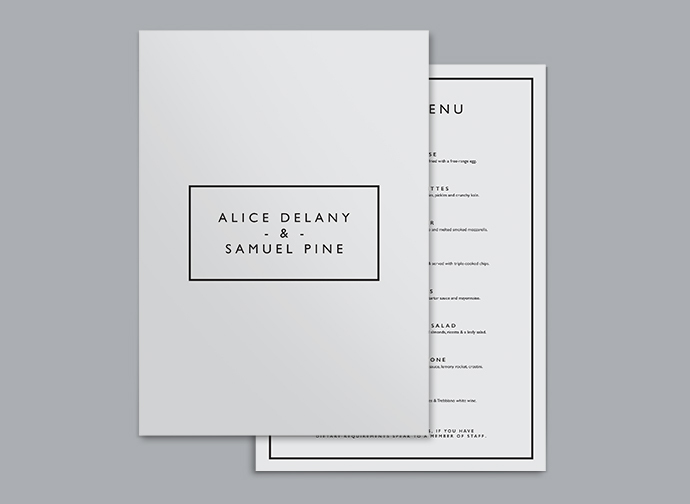 Classiqué – This crisp menu design features a flowing font and floral border for refined dining and drinking establishments. 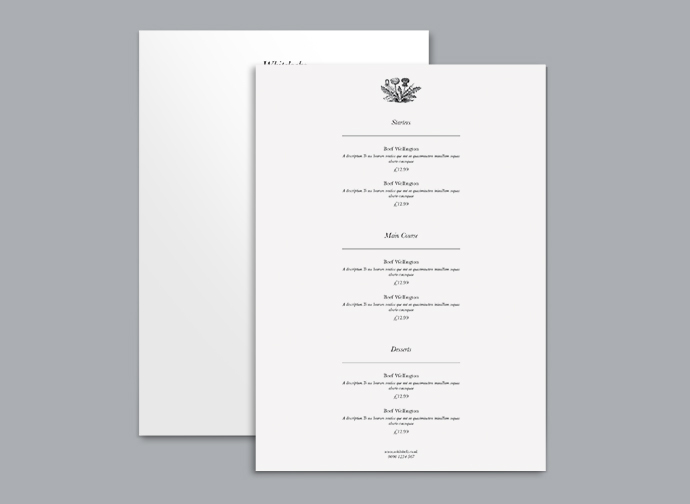 Whitelocks – A classic clean menu design with a discreet flower motif for elegant bars, bistros and restaurants. 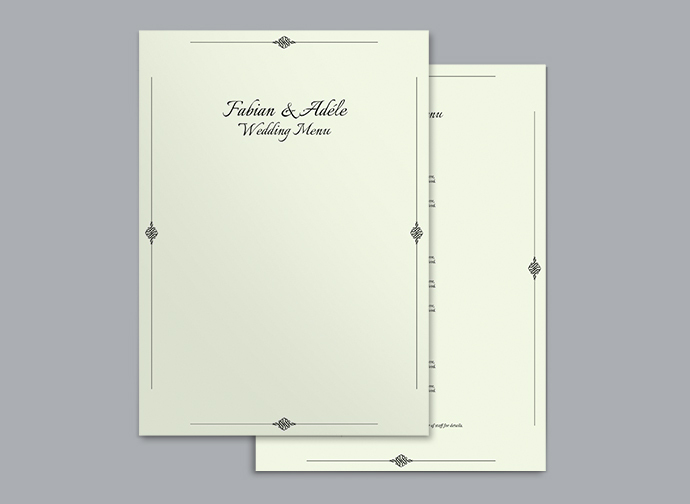 Modern style wedding tent card, perfect for happy days where there's a good choice of wedding fayre. 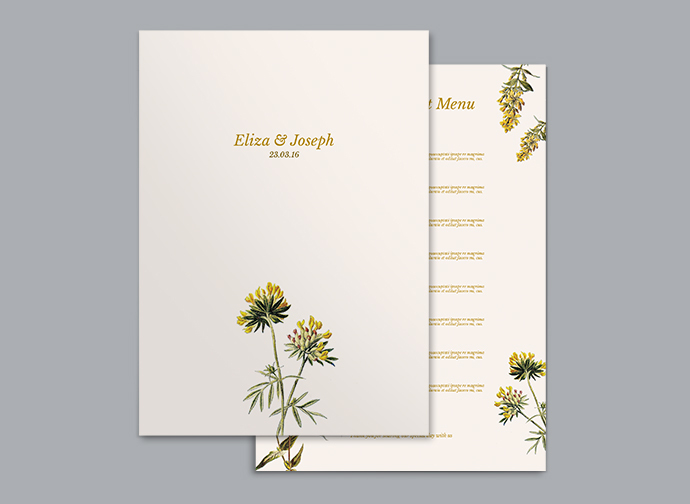 Floral Illustrations grace this absolutely fantastic wedding menu. A breath of fresh air for special days. 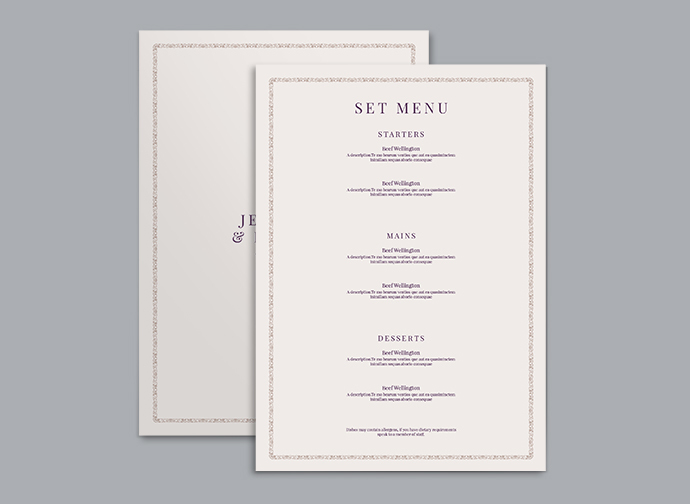 This very elegant wedding menu is understated and yet perfect for larger wedding menu choices. 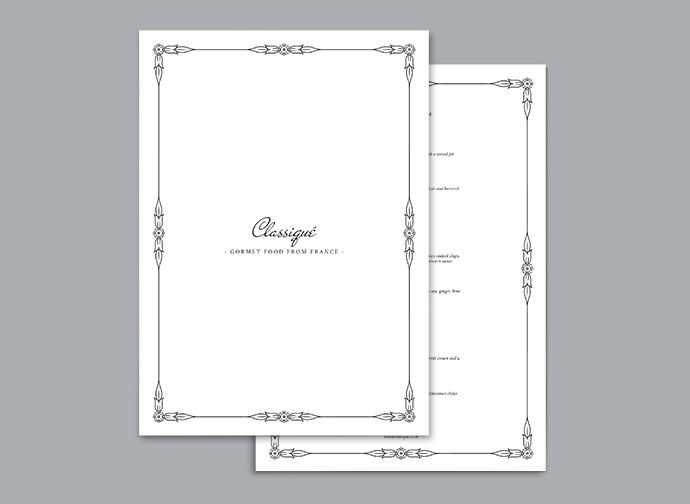 Premium quality classic wedding menu design that simply shows style and grace. Congratulations. "Fantastic quality which helped make our day that bit more special."